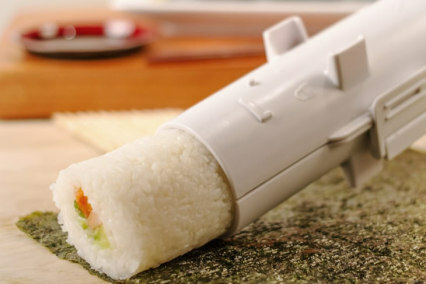 With our sushi maker it`s so fast and easy to make it at home. Just imagine! You can make it any time you want with any stuff you like. You can add sushi to your regular diet without going to restaurants or waitin for devivey. Save time and monney, make a home sushi-party or impress your sweetheart with unusual dinner. 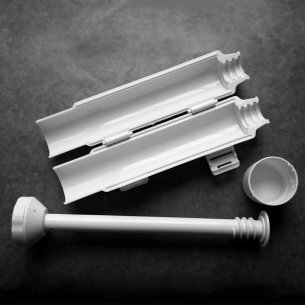 Made of high end quality plastic, our sushi maker is durable and strong. 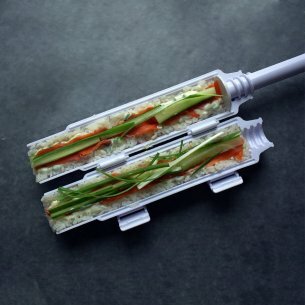 This sushi maker forms a perfect bond between luxury and precision. Cooking isn't only about sheer talent and taste - it's also about having the right equipment. Our sushi making kit can be used to create all kinds of delicacies, such as cake rolls, fudge rolls and many many more! 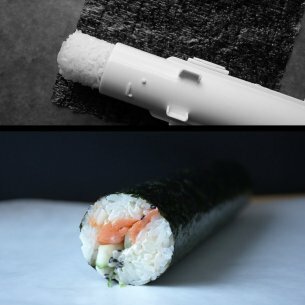 With just three easy steps,simply fill the tube with rice and add your favorite ingredients, then plunge the rice right through the tube onto a nori sheet, Voila, the perfect sushi maker! Great aid for large dinners, it will have your guests coming back for more perfectly formed sushi. Impress your friends and significant others and cultivate your sushi making talents!